Take your creativity to another level! Integrate the expressive capabilities of Wave directly into Native Instruments’ REAKTOR BLOCKS with Waveblock. Wave gives you unprecedented sound control, effects shaping and manipulation via physical hand movements. Use subtle gestures to add vibrato to your favorite lead synth module, or use more visible gestures while performing. The buttons are great for triggering sequences while the tap lets you interact with percussive modules in a completely new way. Drumming on a table has never been as fun! Make sure to grab Wave on a limited pre order offer now for $199. 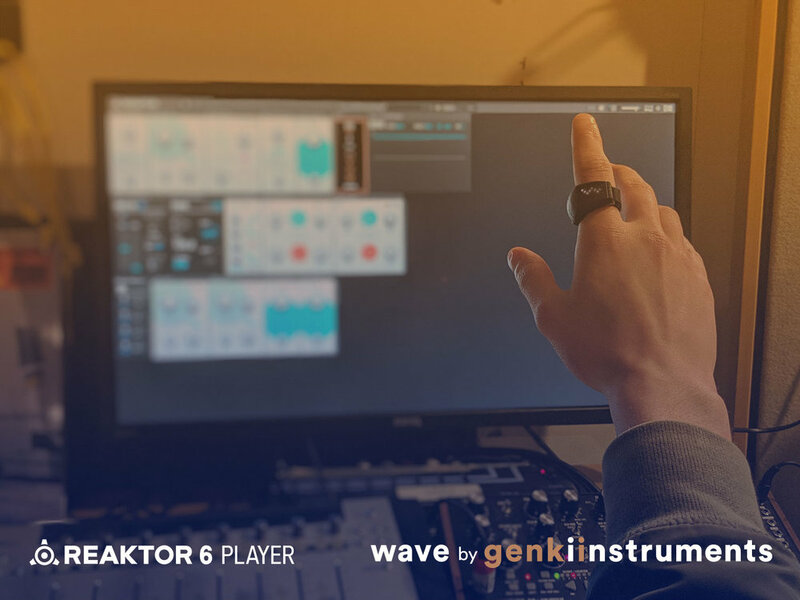 Wave ships with Reaktor Player, Blocks Base and the Waveblock. REAKTOR BLOCKS provides a platform for modular synthesis - a range of sound generating and sound shaping modules. You can patch them together to create new and unique modular synthesizers, effects chains, complex sequencers, and more. Wave integrates seamlessly with the BLOCKS ecosystem through the Waveblock module. Three different motions allow you to control parameters by moving your hands. Click the buttons to send commands, such as play, stop or record. Tap any surface to trigger a note or sample.